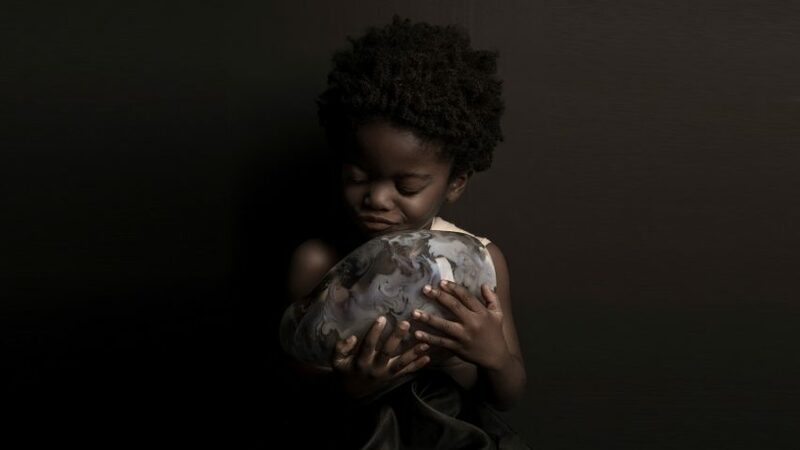 Neri Oxman and the MIT Mediated Matter group have unveiled their latest collection of 3D-printed death masks, designed to contain the wearer's last breath. The Lazarus masks, described by Oxman as "air urns", are modelled on the facial features of the deceased individual. Each 3D-printed structure encompasses colourful swirling patterns that have been informed by the physical flow of air emitted from their last breath. "Traditionally made of a single material, such as wax or plaster, the death mask originated as a means of capturing a person's visage, keeping the deceased alive through memory," said the team. "Lazarus serves as an air urn memento that is a new form of 3D-printed portraiture, combining the wearer's facial features while serving as a spatial enclosure for their last breath." Similar to the group's previous collection of masks – which although released prior to Lazarus are later in concept – the pieces were formed using a Stratasys Objet500 Connex3 multi-material 3D printer, which constructs 3D forms by depositing polymer droplets in layers. For the project, the team created custom software that allowed them to model high-resolution and complex shapes based on data. First of all, the data for the three main areas is generated, including a heat map of the last breath, a map of the wearer's face, and the path the flow of air takes across the face. The software then applies the data to the death mask shape, which is transformed into a three-dimensional design before being 3D-printed. The Lazarus death masks are the first instalment from the The New Ancient Collection by Stratasys, which is being curated by Naomi Kaempfer. Oxman's masks debuted at the opening exhibition of London's new Design Museum. Named Fear and Love, it explores a spectrum of issues that define our time and also includes installations by OMA and Hussein Chalayan. Vespers is the latest 3D printing research project from the Mediated Matter group, a part of the MIT Media Lab. Their previous research includes 3D-printed "wearable skins" designed to facilitate synthetic biological processes and investigations into how to use silkworms to print architectural structures. Members of the Mediated Matter Group, and affiliates, who have contributed to this work include Christoph Bader, Dominik Kolb, Rachel Smith, Sunanda Sharma, James Weaver and Neri Oxman. Photography is by Danielle van Zadelhoff.